Edward Lear, besides being a universal benefactor as author of The Book of Nonsense (dear to Dante Rossetti), was a very agreeable and efficient landscape designer who had been rather far afield in his quest of the picturesque — Albania, Calabria, Syria, etc. He was moreover an entertaining and judicious writer of travelling adventure, as evidenced in his book A Landscape-painter in Calabria. There is in this volume a deal of genuine Italian character-sketching: Christina was very fond of it. I met Lear in 1852 in company with Holman Hunt, and passed a week or so in their society. They were at Fairlight, near Hastings ; Hunt painting his admirable sheep-picture Our English Coasts, and Lear, who had resolved to put himself under severe discipline as a quasi-Praeraphaelite executant, producing one of his larger oil-paintings, The Quarries of Syracuse. This was quite a new start on his part, as hitherto he had aimed chiefly at telling composition and facile handling. Lear was a rather tall man, spectacled, with a rounded nose and ordinary features. He was a sprightly, easy, unpretentious talker, having knocked about in the world more than sufficiently to acquire aplomb and suppress affectation, and being accustomed to move in “good society.” At Fairlight we had vile spring weather of recurring rain varied with sea mists; and Lear was much given to declaiming against the English climate, which, as he said (and I more than once noticed it to be true), even if tolerably fine before and after his sojourns in his native land, was constantly detestable during those intervals. Another object of his denunciation—but this was in a later year—was the oriental camel, in his view an unmannerly and unmanageable beast, affording material for little save human exasperation. His verdict on the “ship of the desert” anticipated that which has been versified in Rudyard Kipling’s stanzas on The Oont. Lear, in his later years, settled in San Remo. His sight had never been strong, and he became blind. At the beginning of 1887 I was at San Remo with my wife and two children, and I noticed the Villa Tennyson, at which Lear resided. I blameably neglected to call at once; and then an earthquake (much talked of all over Europe) occurred, and my family decamped from the place, and I along with them. Thus, to my permanent regret, I failed to see good old Lear in his darkened retirement. He lies buried in the San Remo cemetery. 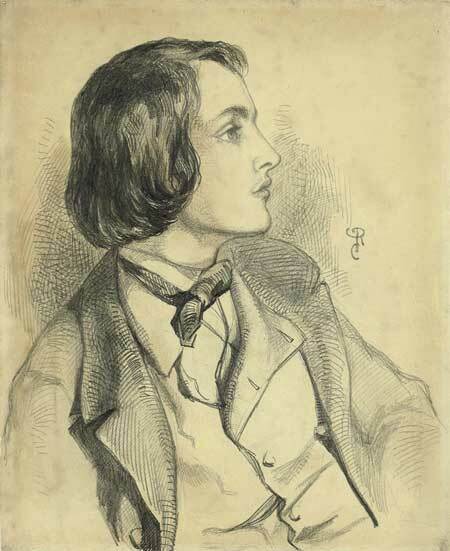 Rossetti, William Michael. Some Reminiscences of William Michael Rossetti. New York: Charles Scribner’s Sons, 1906, 156-7.